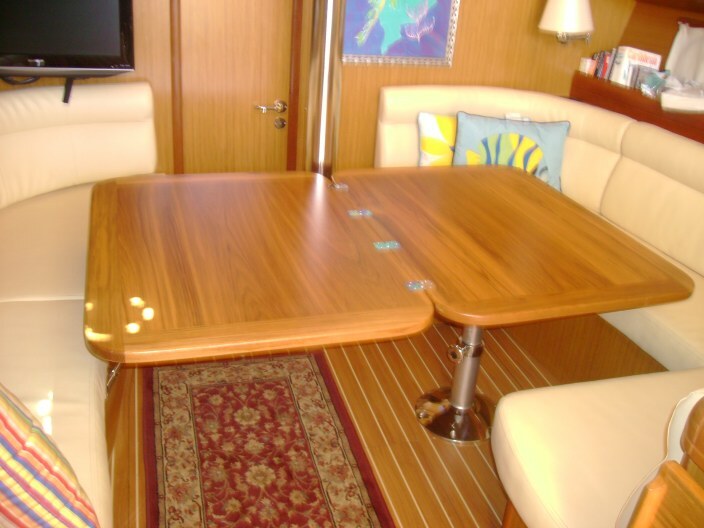 Brent Meyer and Nancy Parsons have made this immaculate and useful double sized table conversion on Tafika II their Jeanneau 42DS and can now easily serve 6 people with extra table space. 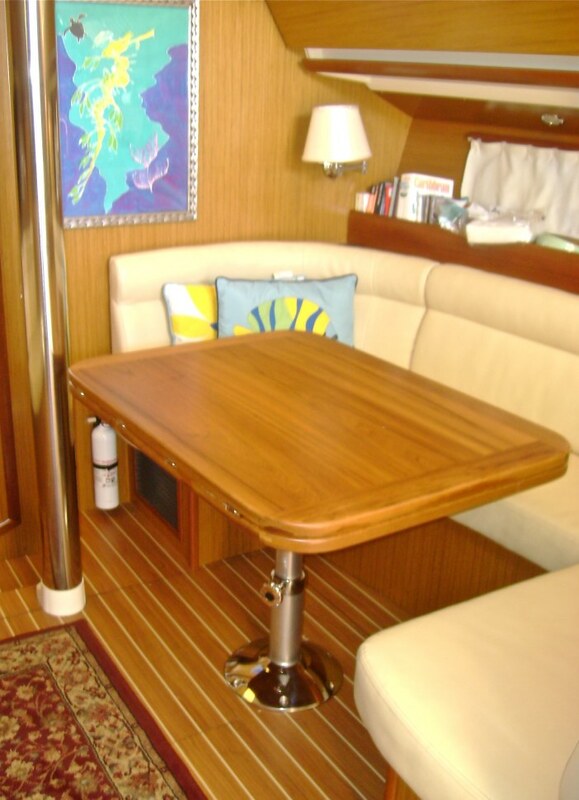 Table is 1-1/8" teak in a satin finished varnish mounted on a Imtra/Norsap gas assist pedestal. 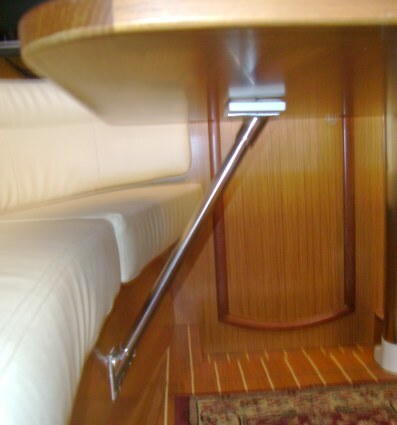 Folded it is the size of the regular Jeanneau table. In the lower position it serves as a double berth with a custom lay in cushion. 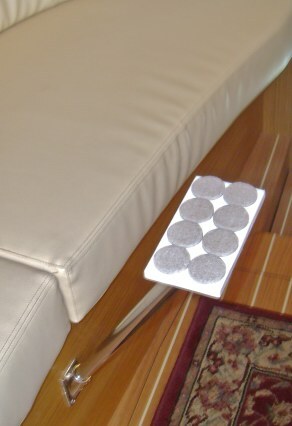 In the unfolded position, we incorporated a removable stainless brace on the port settee with felt pads to support the weight of the table extension and so the weight was not all on the pedestal.